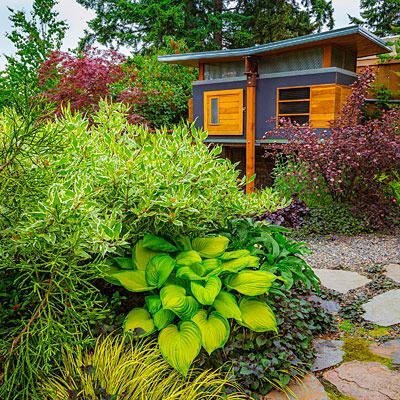 In Sunset magazine this March 2016 is a profile of the home of garden designer Manda Galbraith, principal of Flora & Bee, located in Burien, Washington. 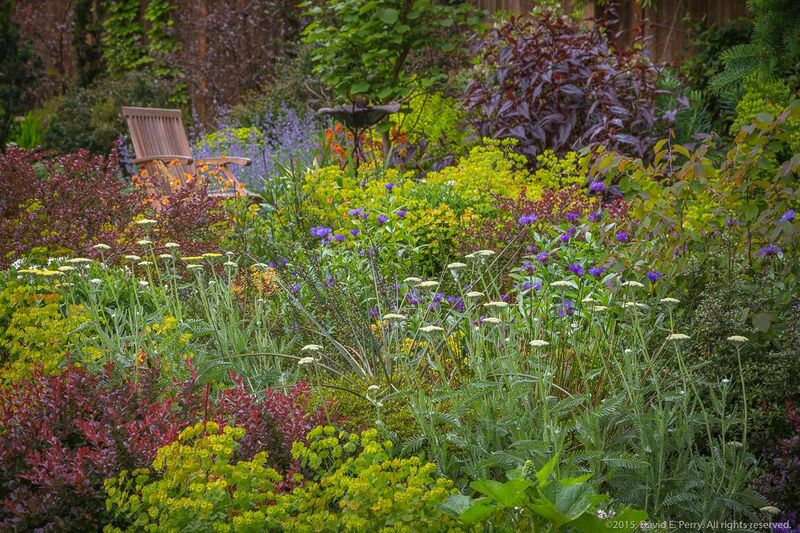 (“How to design a vibrantly colorful garden.“) I’ll be looking again and again at these luscious photos by David Perry all month. Enjoy. 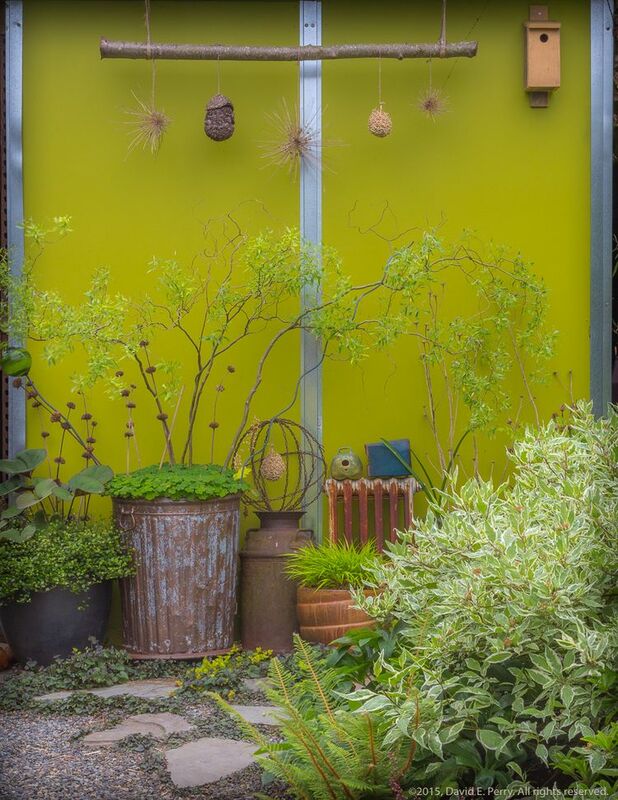 This entry was posted in design, garden ornament, garden visit, pots and containers and tagged Flora & Bee, garden design, Manda Galbraith, photographer David Perry, Sunset magazine. Bookmark the permalink. 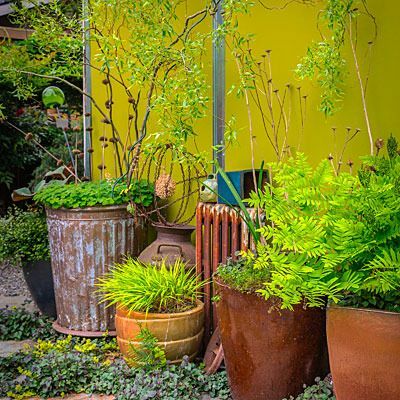 Love this…I’m such a sucker for Purple/Burgundy & Chartreuse. 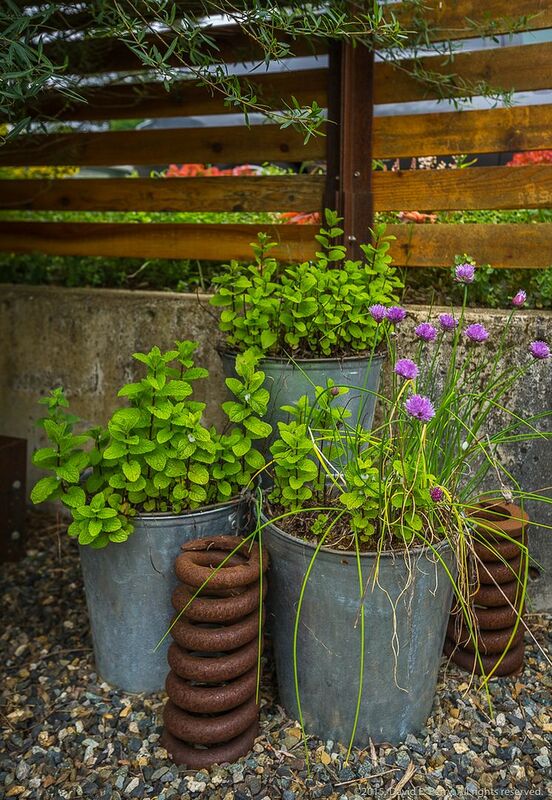 gorgeous…gives me lots of ideas, thank you!! 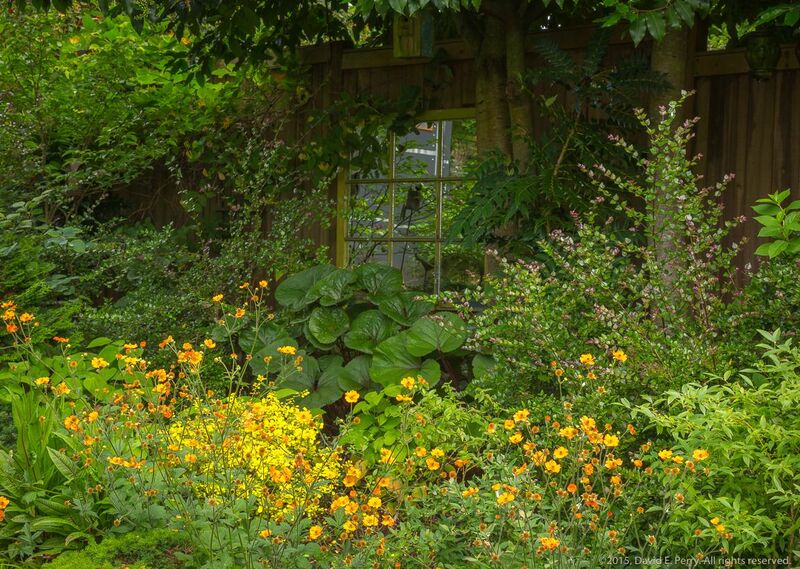 I seldom go ga-ga over Sunset’s garden articles anymore but this one was an exception. I loved it! And I appreciate your sharing even more photos. That color scheme must be so cheering in their long, grey, gloomy wet winters (winters like that sound wonderful, actually). The light too is softer there even in summer, so it seems like it would work. Here it might be painful to look at come July. 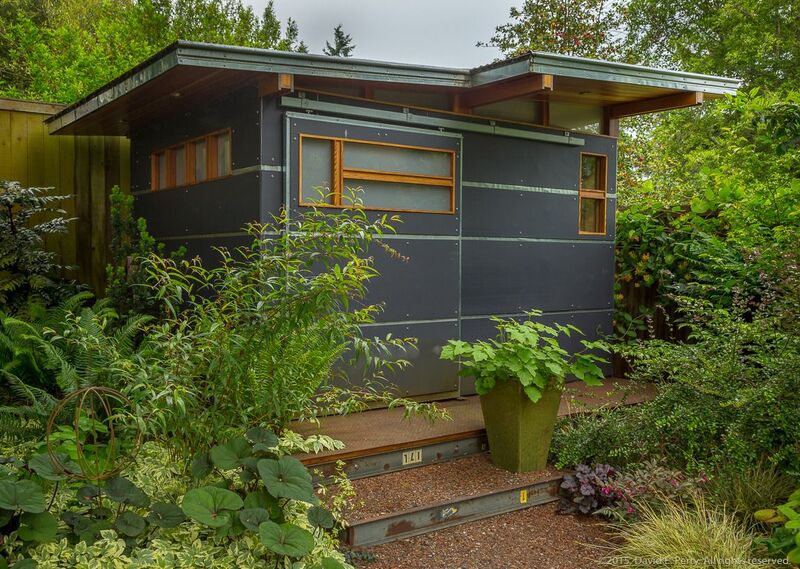 Nifty little studio/garden shed(?). I want. How colorful! 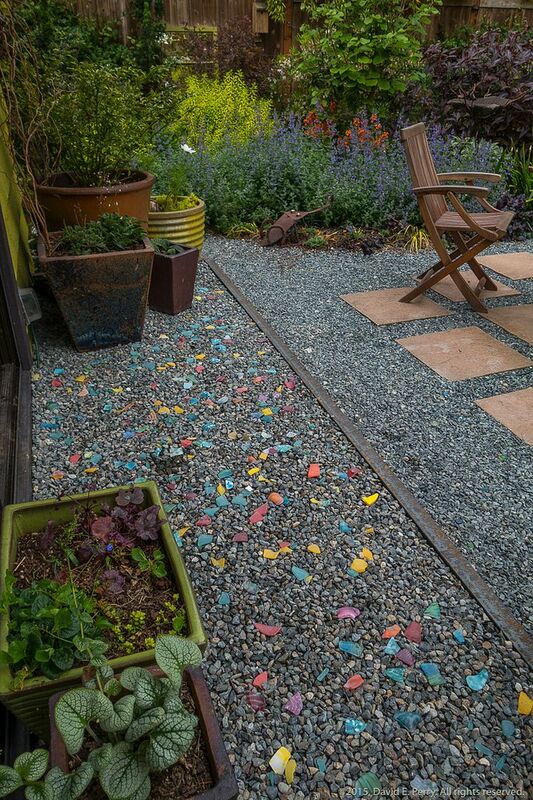 I especially like the colored shards in the gravel. Thanks for the inspiration! So packed! Lots of great details there too! That grey “shed” is fantastic! Thanks for sharing! @Tamara, oh, yes, you’ve got quite the blank slate at your new digs! @Kris, the designer, photographer, all excellent. 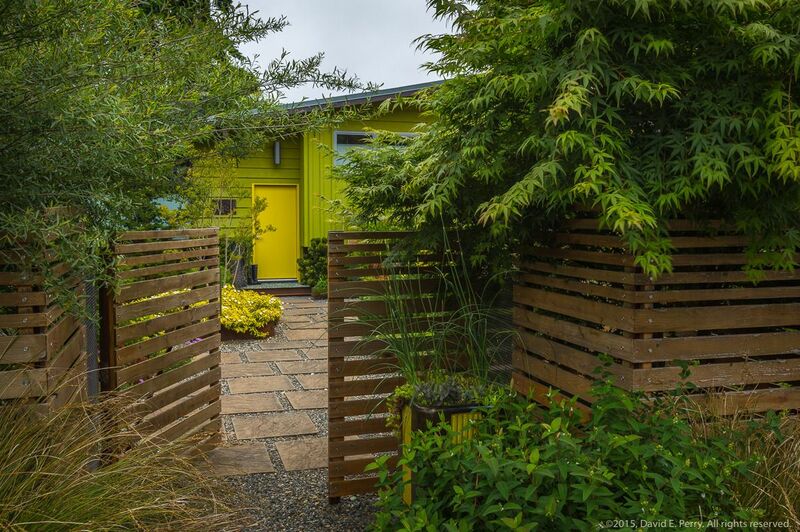 @Alan, I think the brief article mentions the shed made of cement board, wood and steel. I let my Sunset subscription lapse this fall for the first time in over 30 years.I found the content dwindling, and garden content in particular. I’s great to see them feature David Perry. 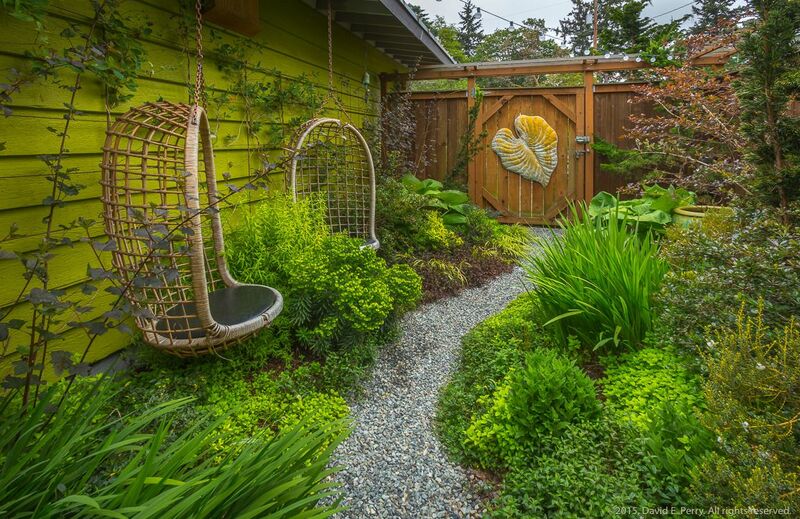 He will be doing a photo workshop at the SF Garden Show this year, but the time and day are frustratingly opposed to my schedule . Damn ! 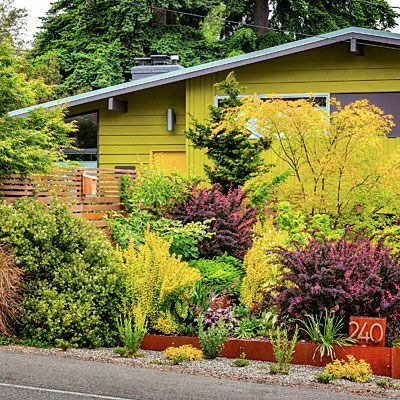 What a great color, and what a great garden. 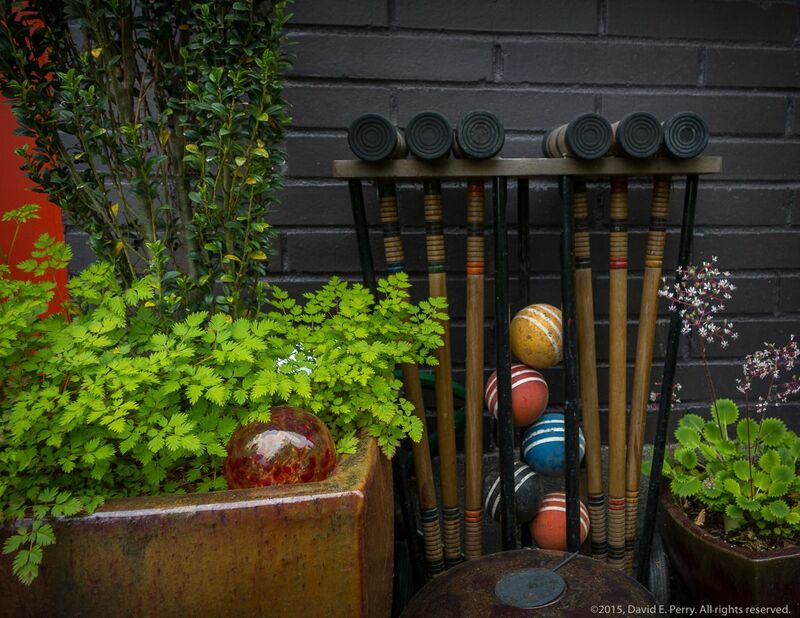 David Perry takes amazing photos, and clearly he had a stunning subject in this garden. Those colors! My daughter and I are drooling over them. 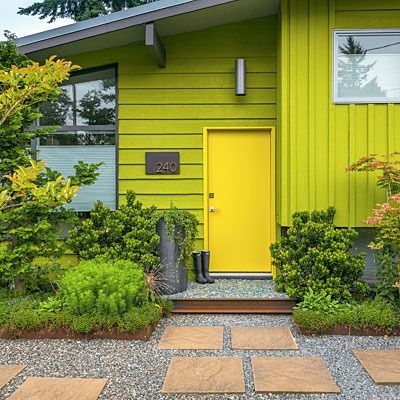 That acid yellow would never work in the Texas sunshine, but it looks perfect for the cloud cover of Washington. 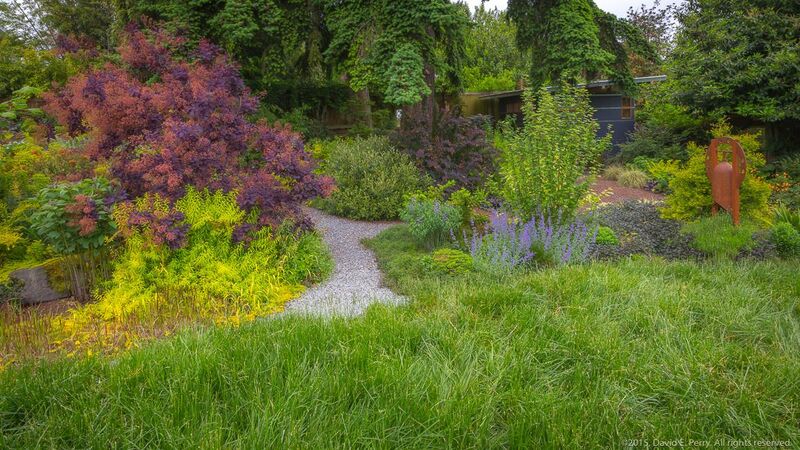 Also, I just noticed on David Perry’s FB page, he says that this garden appears in a recent issue of Fine Gardening as well. Coast to coast coverage!